I have one hand and I can piss just fine. What is this? Wait now i am in the mood for kicking deformed children. What a miracle... 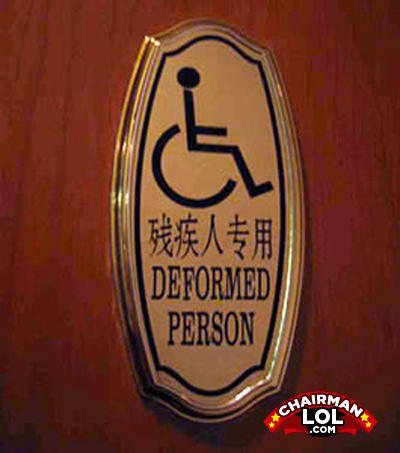 The chinese must be the top 1 translators in the world! A blunt way to put it. Even the lettering is deformed!